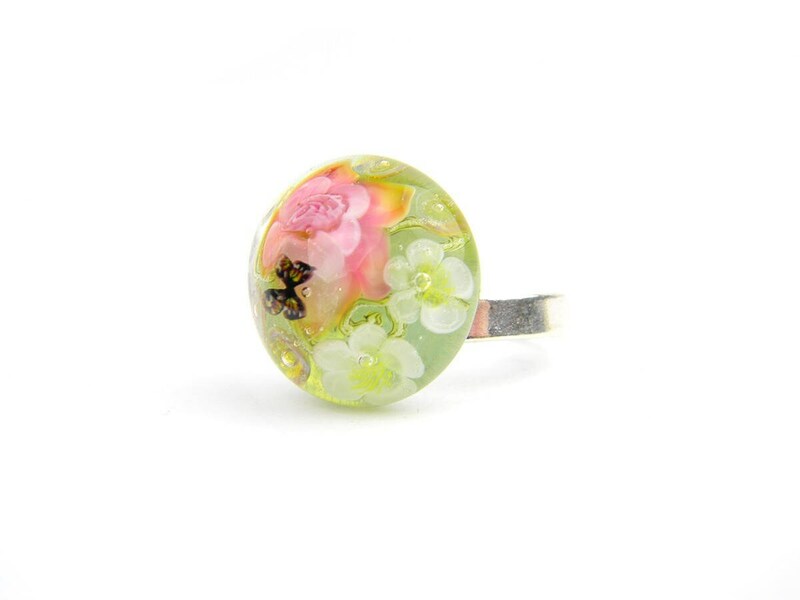 The Peacock Garden ring was created with one of my unique lampwork glass cabochons. 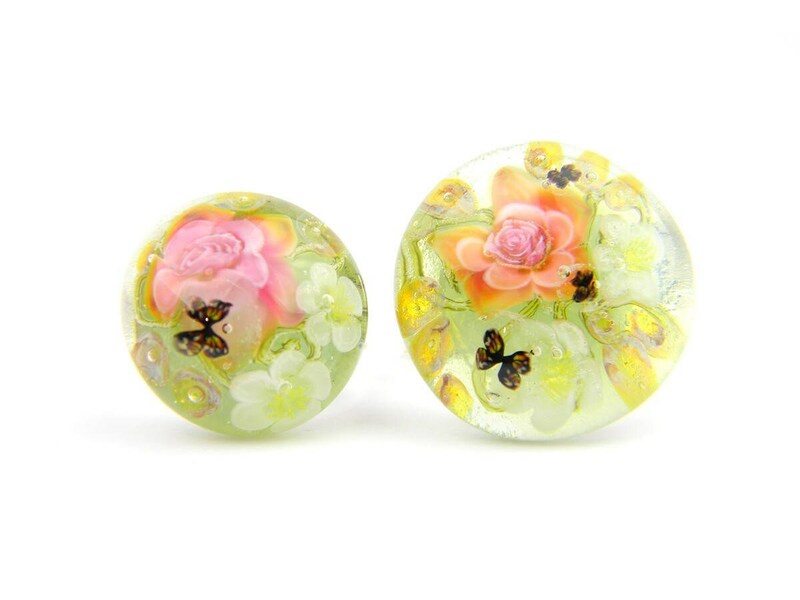 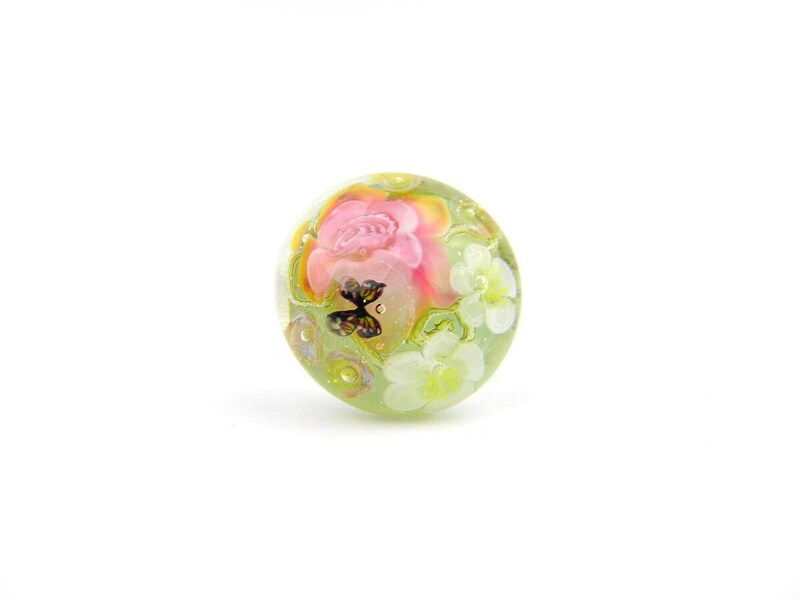 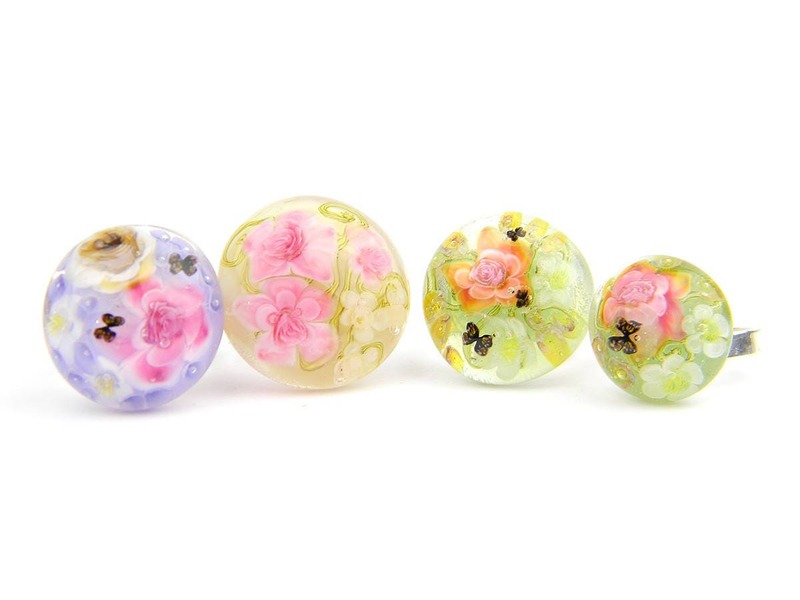 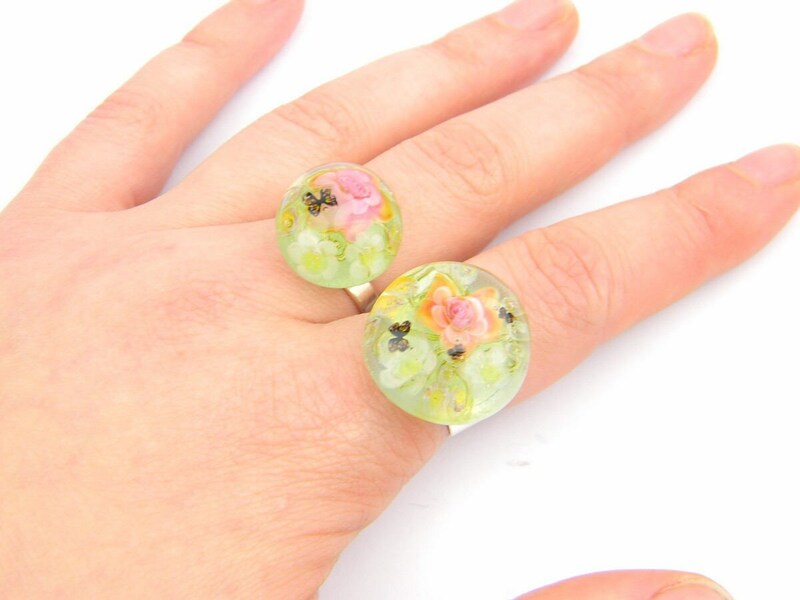 The glass piece showcases a fairy tale like garden full of roses, daisies and butterflies over a pale green opal base. 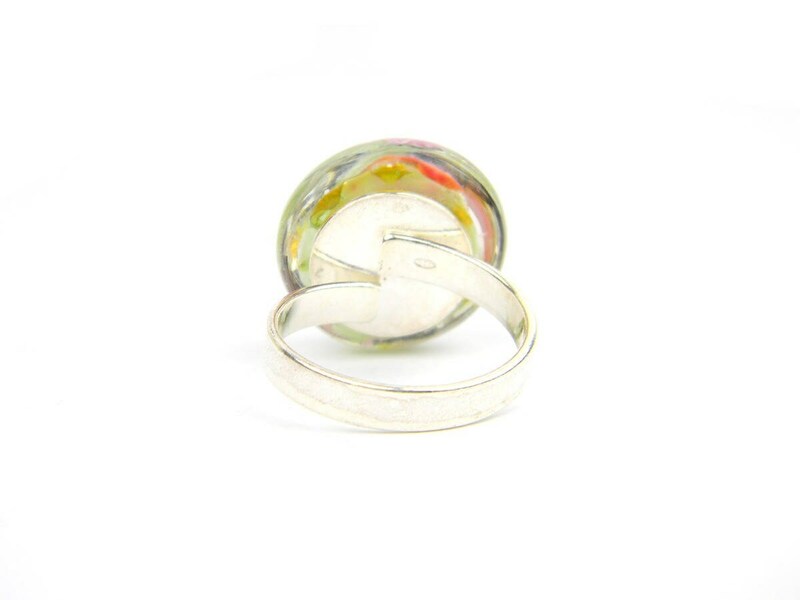 The thick clear glass on top brings the depth of the design to life!